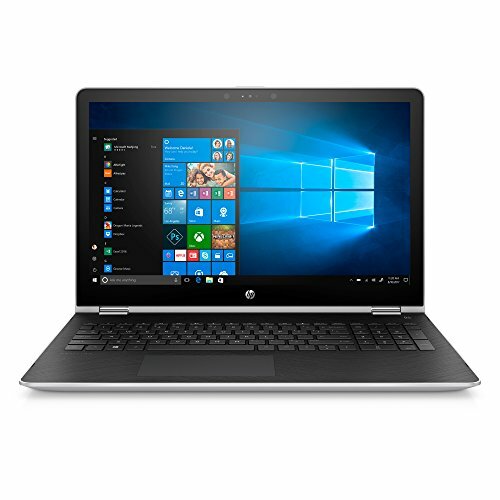 - Processor: 7th Generation Intel(R) Core(TM) i5-7200U Processor, Dual-Core, 2.5GHz up to 3.1GHz; Powerful performance keeps up with your multitasking demands and enables new ways to interact with your PC. - Display: 15.6-inch diagonal HD (1366x768) SVA WLED-backlit multitouch-enabled edge-to-edge glass; Pinch, zoom, and swipe to intuitively control your PC right from the screen. - Battery life: Up to 10 hours and 30 minutes (mixed usage), up to 8 hours and 45 minutes (video playback); With a lithium-ion prismatic battery, get the thin device you want without sacrificing battery life.